In 1988 the international fitness brand Nike launched the popular “Just Do It” campaign. The magazine Advertising Age selected the campaign as one of the top two taglines of the 20th century because IT was both “universal and intensely personal.” Using the word “IT” allows the listener to insert their personal “IT” into their hearing. IT might be running, swimming, or hiking. What might be YOUR IT? And as the campaign took hold it became a way of silencing the anxiety that holds us back, giving us a psychological shove to, well, just DO it. Other marketers seized on the idea. The national boating association launched the “Wear It” campaign to encourage the wearing of life vests. A coalition working for awareness of modern slavery launched the “End It” tagline. Even Greenpeace took IT a step further with their “Cool IT” campaign calling on Information Technology (IT) companies to power technological solutions needed to fight climate change. In the 90’s the California Health Department and the CDC hired my marketing agency to create prevention advertising to slow teen pregnancy and the incidence of sexually transmitted disease. I won an award for my own “IT” campaign, using humor to call out the fact that even though kids couldn’t bring themselves to talk about IT, and parents were struggling to talk about IT with their kids, the kids were doing IT without protecting IT, thus transmitting IT. And if they ended up pregnant they would have to take care of IT until IT was at least 18 years old. Maybe they just didn’t get IT? IT –is universal and IT is personal. Our reading today from 2nd Corinthians lifted up a new seeing of an IT I hadn’t considered. Now I have an entirely new thesis about IT. We could say that the original IT campaign was launched in the first century by none other than the apostle Paul. Did you see IT? He’s talking to the church at Corinth, lifting up the paradoxical generosity of the Macedonian church. Grace filled generosity in the face of extreme challenge shouldn’t have been the overflowing reality but IT was exactly what took place. IT seemed that God’s own overflowing love having been generously extended to them, was bringing about a natural and generous response. They could only respond to IT by doing likewise and living IT in their own lives. (pregnant pause) …Are you getting IT? The IT is God’s love. God’s overflowing generosity. God’s extension of love for all. The IT is grace. The IT is hope. And when they got IT, they got IT. They were free then to respond to IT not out of obligation or force but out of loving reaction. Paul understood IT this way. That IT is a holy privilege. IT is an invitation to share in this ministry to the saints. That the generous act of our Lord Jesus Christ, that though he was rich, yet for your sake became poor, so that by his poverty you might become rich—this was an IT that was foundational to a new understanding of generosity. Paul asked them to consider IT a generous undertaking of their community, that their own generosity (small or large) was how Christ’s community could share with fair balance thereby spreading the gospel of good news. The gentile believers with perhaps more means were blessed to be able to help those with less. 2nd Corinthians is one of the most profound essays on holistic stewardship there is. Even stewardship’s IT has been reimagined. IT isn’t and never was about what we have to do. IT is what we get to do, what we want to do because God first loved us. IT is our holy response to that love that we are invited to share IT, in every way we as individuals and as a community can share IT. In many ways the church has stumbled in how IT has tried to talk about the IT of stewardship. It was never about the churches need to receive. 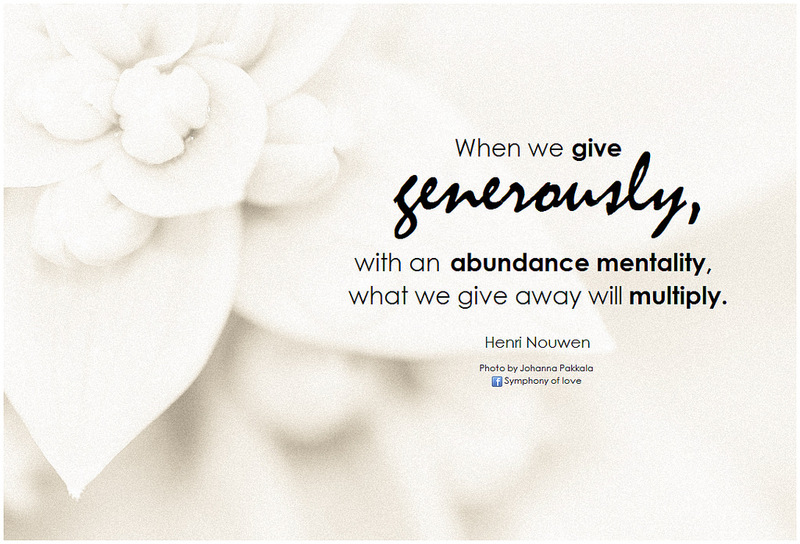 IT is about the givers need to give. Giving, in whatever form IT takes, is always in proportion to our response to God’s love. For the church Nike’s “Just Do IT” doesn’t capture IT. I’d get at IT this way. God’s Love: Feel IT. Know IT. Share IT. Become a Steward of IT. Seriously. That’s all there is to IT. And that’s a lot. Then we will be free to live like IT Matters. benknaus on Oh Say Can You See?